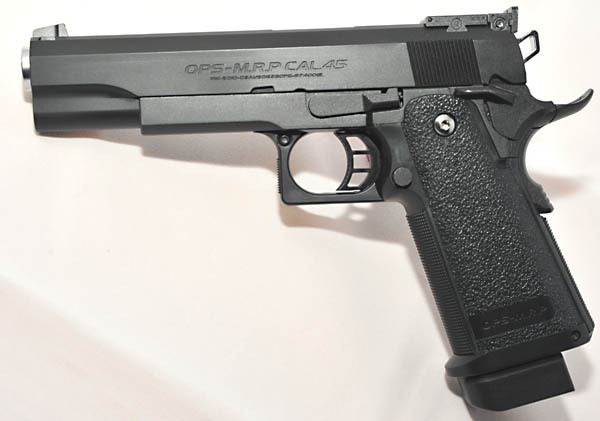 Tokyo marui 5.1 inch Hi Capa. Very accurate, firing at around 280fps with 0.2g BB's and green gas. it can be upgraded easily to 300fps or more. 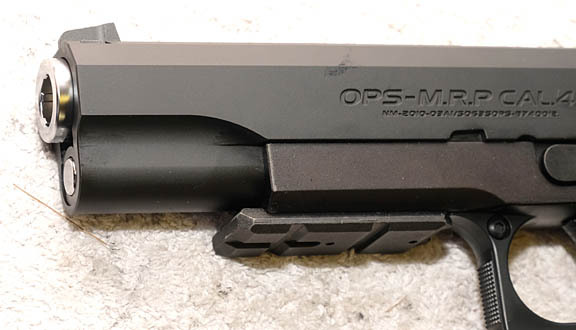 Magazine Capacity of 30 rounds (+1). 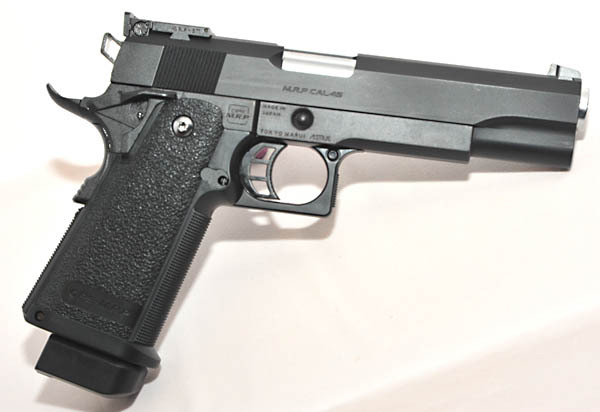 Ambidextrous safety catch and adjustable bomar style sights. An excellent skirmishing pistol and a good starting gun for practical shooting. Extra magazines are £27.00 each.